Youth empowerment and promoting African intellectualism will be the subjects under discussion at the inaugural LSE PfAL Forum which takes place in Kampala, Uganda on 14 and 15 January 2016. The Programme for African Leadership (PfAL), supported by Firoz and Najma Lalji, was established at LSE in 2012 to nurture a new generation of ethical, effective and authentic leaders committed to promoting economic development and social and political progress in Africa. It comprises the Lalji LSE PfAL scholarship programme through which over 20 African students receive full Masters Scholarships to study at LSE annually. 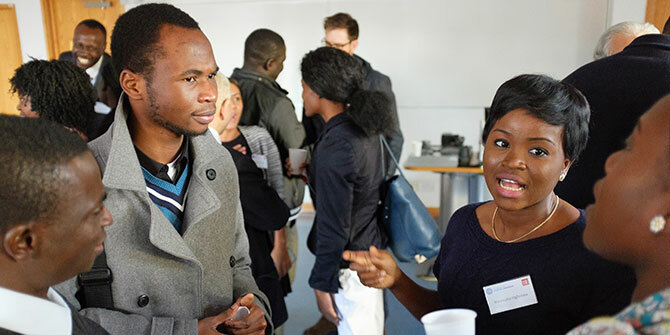 Another strand is PfAL@LSE, an extracurricular leadership-focused programme which is open to all graduate students who are nationals of sub-Saharan African countries studying at the School. Students who successfully complete both programmes automatically become part of the PfAL Network which currently has 130 members from 23 African countries. The PfAL Forum 2016 will give members of the PfAL Network the opportunity to connect with other aspiring African leaders, forge co-operative and supportive relationships while debating the way forward for Africa on pertinent issues. Through keynote addresses, panel discussions and workshops, delegates will focus on topics that are of utmost importance to those who aspire to be leaders across the political, business, educational and other sectors on the continent. Among the speakers will be Fadumo Dayib, Somalia Presidential candidate, Victor Ochen, Founder and Executive Director of the African Youth Initiative and Professor Waswa Balunywa, Principal of Makerere University Business School. Follow @LSEPfAL on Twitter, or visit the LSE International Development website for more information on the programme and the courses by the department.